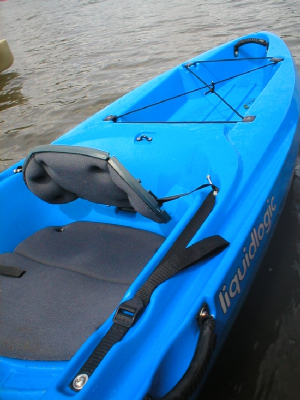 This is a very well thought out kayak it has sleek lines .the moulding is first class top quality .the first thing that strikes you is its light and easy to carry the carry handles are well balances the front handle is fitted centrally and the rear is astride the cargo hatch Which keeps the kayak level when carrying it and very comfortable on the hands the side handles are also fixed in a well balanced area so carrying the kayak by the side handle is also easy. Immediately you notice the moulding just in front of the seat which is just right for all those bits and bobs like swivels and beads ect there is also a deepest cup holder. 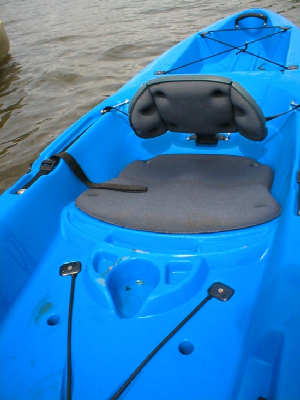 We found it a very comfortable kayak to sit in and well laid out . The front hatch is a rubber lid type which let no water in at all on our tests even after a few re-entry drills. The rear tank well has nice flat deep sides to stop things from falling out and has a squareish look which makes the crate fit better. On the gunnels you will notice some great moulding this is to rest your paddle in and it worked very well when we tested it with a paddle. 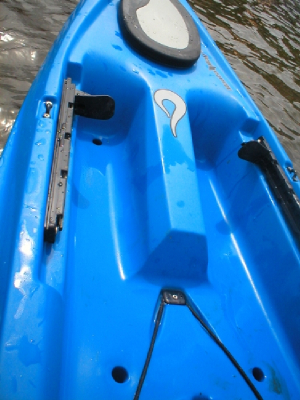 the added bonus of these gunnel mouldings was that with wet hands you have something to grab hold of when re-entering the kayak. 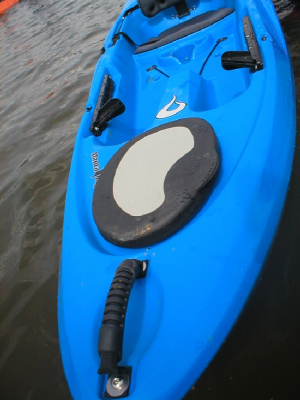 On the water it was very stable and quite fast this is a real big contender for anybody looking for a fishing kayak the cockpit is angled so it’s also quite a dry ride while you’re out. 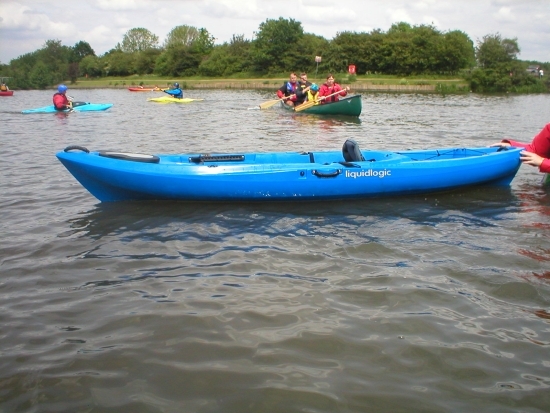 this kayak it very manageable turning is easy and quick the hull design means it tracks very true when paddling. 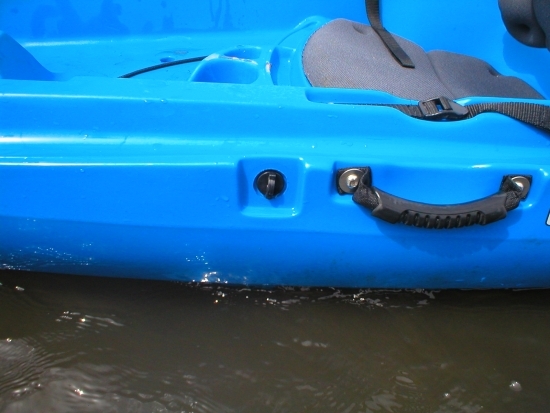 all in all this kayak is a real star its moulding has been well thought out it is very innovative and would make a great fishing kayak I am sure we will see many of them about on the water now they are available here in the uk .